M. Lee Stone Fine Prints, Inc. has been in the business of selling fine works of art on paper since 1974. We specialize in fine American works of art on paper, prints, drawings, watercolors, etc. 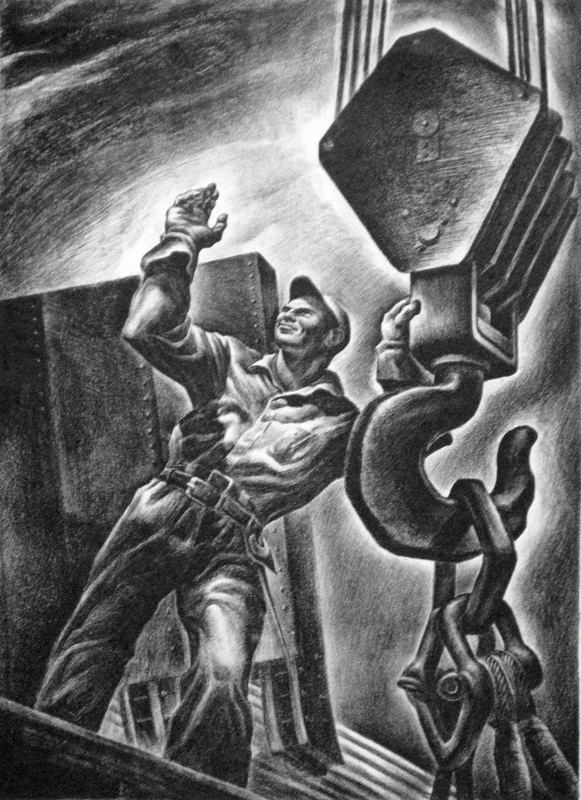 Our specialty is artists of the 20th and 21st century with a focus on WPA and the depression era (1930-1950), social commentary, industrial and cityscapes as well as themes of men and women working. We have numerous other subjects in our inventory as well. We have the following artist's work in our inventory: Irving Amen, Peggy Bacon, Louis Barlow, Leonard Baskin, Cecil Bell, Calapai, Miguel Covarrubias, Mabel Dwight, Fritz Eichenberg, Gerald Geerlings, Louise Gilbert, Helen West Heller, Stefan Hirsch, George Josimovich, Rockwell Kent, Germany Klemm, Armin Landeck, Martin Lewis, Louis Lozowick, Nan Lurie, J. Jay McVicker, Esther Meyer, John Murphy, James Penny, Byron Randall, Robert Riggs, L.B. Smith, Benton Spruance, Prentiss Taylor, Charles Turzak, Joseph Vogel, Herman Volz, William Wolff, Louise Dunn Yochim, Maurice Yochim and others. We represent the following artists or their estates, Bernard Brussel-Smith, Margaret Taylor Burroughs, Elizabeth Catlett, Don Freeman, Louise Gilbert, Leon Gilmour, Hildegard Haas, Joseph Holston, J. Jay McVicker, Esther Meyer, Elizabeth Norton, Mildred Rackley, James Routh, Prentiss Taylor and William Wolff. We have a special interest in African-American art and have work by the following African-American artists: Elmer Brown, Margaret Taylor Burroughs, Elizabeth Catlett, Joseph Holston, Yevonne Meo, Rose Piper, William E. Smith and Charles White. Contemporary artists represented are John Edwards, James Groleau, Joseph Holston, Joe Price and Bonnie Stone.